The Kunsthal Rotterdam stages some 25 exhibitions a year. The Kunsthal presents culture in the widest sense of the word: old art, new art, design, photography - from elitist to popular. The Kunsthal frequently experiments with themes which in many cases provide the first impulse for an exhibition. This approach has resulted in an exciting and varied exhibition repertoire highlighting S.H.O.E.S, Marimekko, The Second World War in 100 objects and Forever Young. More than 3300 square metres of exhibition space are available in the striking building designed by Rotterdam architect Rem Koolhaas - a work of art in its own right, making a visit to the Kunsthal well worth your while. 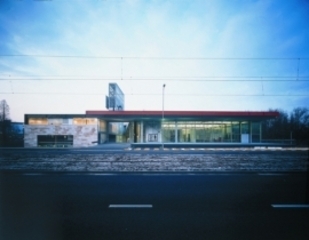 Een bezoek aan de Kunsthal is een boeiende tocht langs oude meesters, vergeten culturen, fascinerende foto's, vernieuwend design en hedendaagse kunst. Omdat er altijd meerdere exposities tegelijk te bezichtigen zijn, biedt de Kunsthal een avontuurlijke reis door verschillende werelddelen en kunststromingen.